How do computers work? What do computer scientists do? What does it take to make a computer or a computer program work? We answer these questions and more with MyCS: Computer Science for Beginners. We believe that anyone can succeed in and enjoy computer science. This course is an early introduction to CS, designed for anyone who's completely new to the field. It explores a combination of the basic principles of how computers work and how we can use them to solve interesting problems and create amazing things. 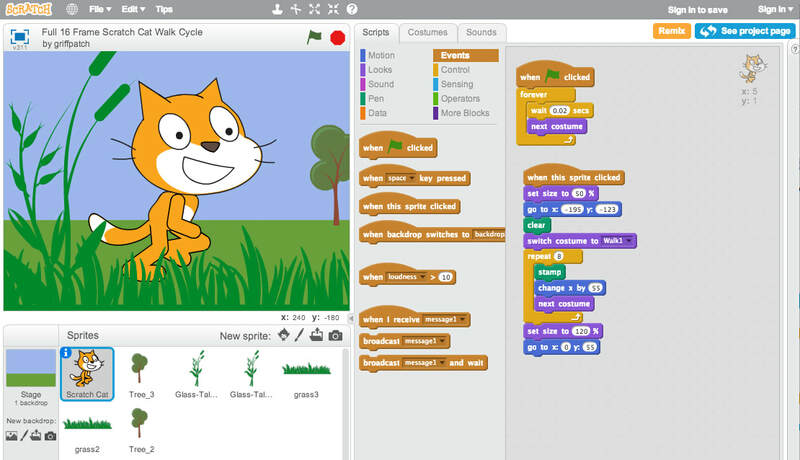 Lessons alternate between general exercises and assignments in Scratch, which offer a chance to both practice some basic concepts of computer programming and explore the many cool, creative, and useful applications of CS. You don't need any CS or programming background to do this course - just a bit of basic math and a lot of creative thinking. The course is intended especially for middle school students and their teachers, but is good for learners of all ages.